The 10 Best Comedy Spots in Missouri! Everyone thinks they have a sense of humor, but not everyone can get up in front of other people and make them laugh. 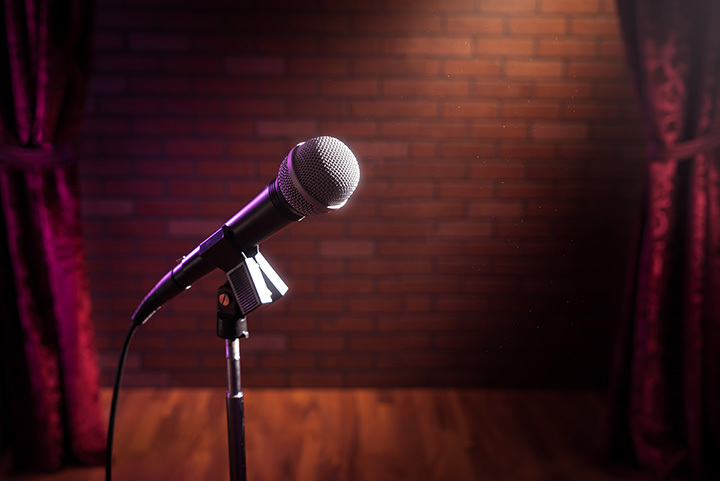 From national headliners to open-mic masters, Missouri has some great comedy venues for just about everyone. Here are the 10 best in the state! Improv is the hardest—but funniest—kind of comedy, and Missouri has several world-class clubs where it can be experienced. One of the best is the Kansas City Improv, which features headliners—sometimes-nationally known ones—two or three times a week. Eastside calls itself “Columbia’s alternative little downtown club.” For people who just want a good time, and not flashing lights paid for by overpriced drinks, that makes it heaven. Eastside has a small crowd of regulars who love to see new faces, and weekly comedy shows that have local comics bringing sheer, honest laughs. For a college town, it’s not your usual college club, and that’s what makes it so great. Downtown Springfield is a mix of college-trendy and repurposed historical buildings, and that describes the Blue Room pretty well too. It features higher-end headliners, but it also has open mic nights where everyone from local celebrities to awkward high schoolers can stand up and try their hands at stand-up. The Helium Comedy Club is the place to go in St. Louis for the big-time headliners—people who can be seen in sitcoms and even their own Netflix specials. Even their open mic nights feature local, well-established celebrities. So, while it might cost a little more to spend your night out at the Helium, you’re guaranteed to have a great time! Rude Dog is one of the best places in Missouri for live performances. In addition to comedy, they also have live bands, but whichever form of entertainment you prefer, they offer a casual (as in total strangers grabbing you and saying, “Hold my beer!”) and welcoming atmosphere in one of the best kept secrets north of Memphis. The comics at Funny Bone are worth driving out to see, from regular performers, to famous comedians, to open mic amateur nights. Even if your show starts too late to spend time shopping, the food and atmosphere make you content to stay put until your show starts—and you won’t want to miss a word! Springfield is a small to medium sized city, but in many cases, it has talent that would make bigger cities proud. One of those cases is the Springfield Improv. Nearly everyone in the region of Southwest Missouri has seen these guys and gals, and they do their hometown proud by touring to national performances and competitions. They offer regular weekly features, classes, and experimental comedy sessions where anything goes! There’s a reason Branson is such a popular family destination, and that reason can be seen clearly in the clean but cutting comedy of Jim Stafford, one of the grand old men of Branson. Jim and other Stafford Theatre performers don’t rely on cheap political or vulgar humor, but on the timeless and universal truths of the human condition. His humor appeals to everyone, and he’s been worth the price of tickets for the whole family for a quarter of a century. ComedyCity not only offers comedy, they offer classes to teach others how to be funny, and they’ll take any of it on the road! You can definitely go to one of their two nightly shows...or they can come to you! It’s the only club in Missouri that will hire out and perform at your occasion. So, for a night out, go to the club, and for a night in with friends, for business, or for a celebration, bring ComedyCity to you! View more Missouri Comedy Clubs.